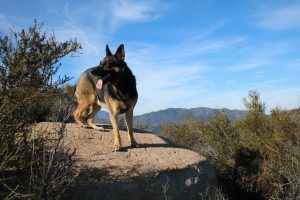 Brooklyn was found a decade ago by me on a dirt road in the Cleveland National Forest. She was abandoned. She weighed 32 pounds when we found her, she now weighs 63 pounds. She had an infected uterus which had spread thru her body. If I hadn’t of found her that day in March she wouldn’t have survived the week. We believe her to be in the range of 12-15 years old. She’s the queen of the couch and the park as she’s a natural alpha and the boss of duke. 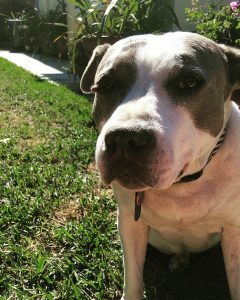 She’s turned a lot of people into supporters of the pit bull breed. She’s a favorite at the vet and just about anywhere she goes. 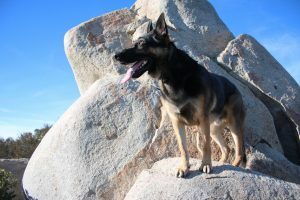 Duke is a 2 year old German Shepherd who was found as a stray in Bakersfield, California. We adopted him October 22nd, 2016 from Westside German Shepherd Rescue of Los Angeles. He was being dropped off from a rescuer about the same time we arrived at the rescue. Brooklyn pulled us towards him and they immediately started to play with each other. We went with the dog that Brooklyn reacted to the best as the dog we would be adopting. 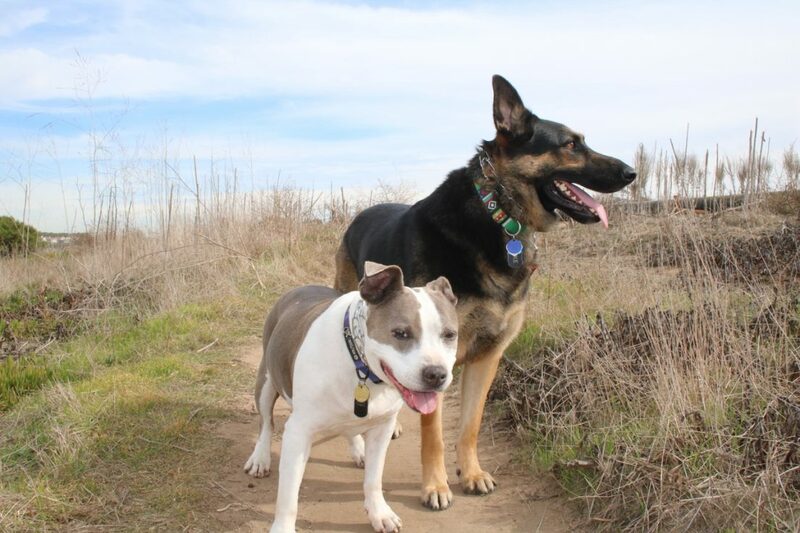 Duke had been someones pet at some point as he came to us potty trained and had some basic training but you could tell he had no idea of how to operate within a family that incorporated a dog in their household. Duke moved up to Humboldt County with me while I was attending Humboldt state university. Duke was a favorite of my classmates and had his own fan club of people who I didn’t even know who would see him on campus. 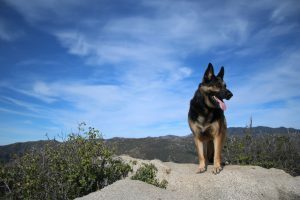 He’s a big love and is a really good example of what a german shepherd is. He was initially afraid of pretty much everywhere outside of the backyard. Thats changed quite a bit now as he accompanies me on fishing trips and backpacks. We get compliments all the time about how well behaved he is on the trail. 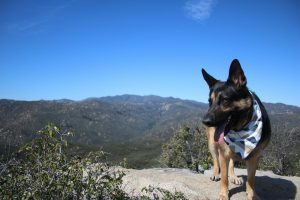 My plan is to hike the Pacific Crest Trail with duke within the next 2-3 years.